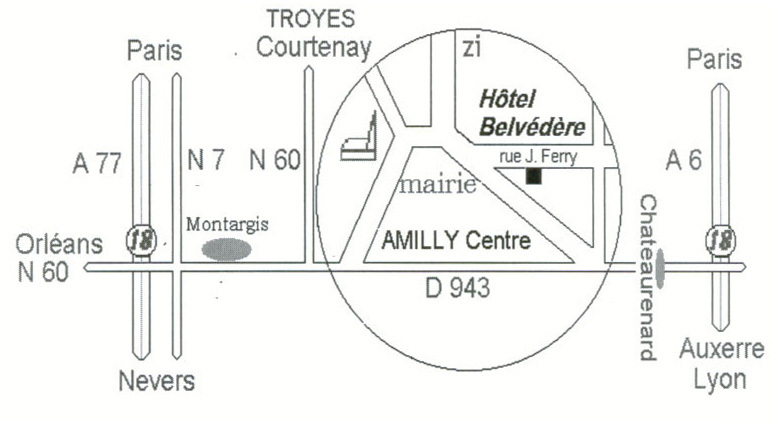 Orléans, Pithiviers, Gien: Follow Troyes direction, exit : Amilly centre. Nevers N7 A77 : exit : Montargis. Paris A6 then A77 : exit: Montargis.